Alexandra & Tom were getting married at a mountain resort in New Jersey. We used the silhouette of the tallest mountain in the Kittaninny range as the graphic element that bound all pieces together. 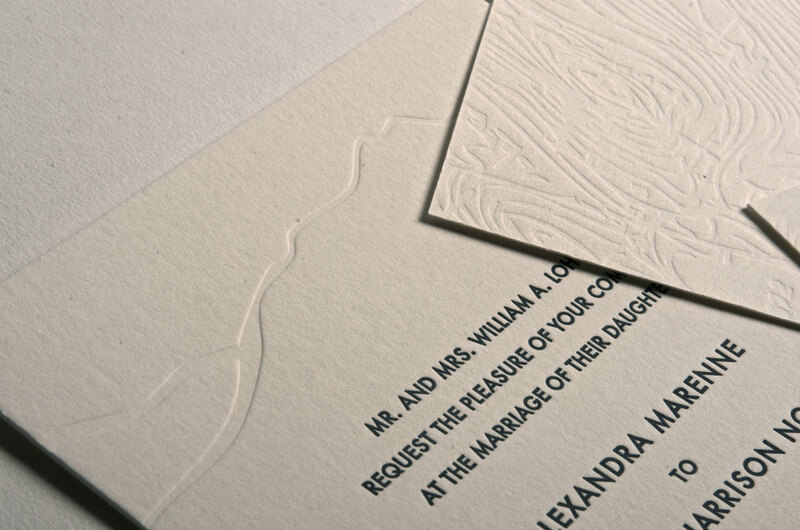 They wanted the main invitation to be as formal as possible, so we blind embossed the mountain ridge on that piece. We also used a topographical map of the area to create a pattern to blind impress onto the information card. 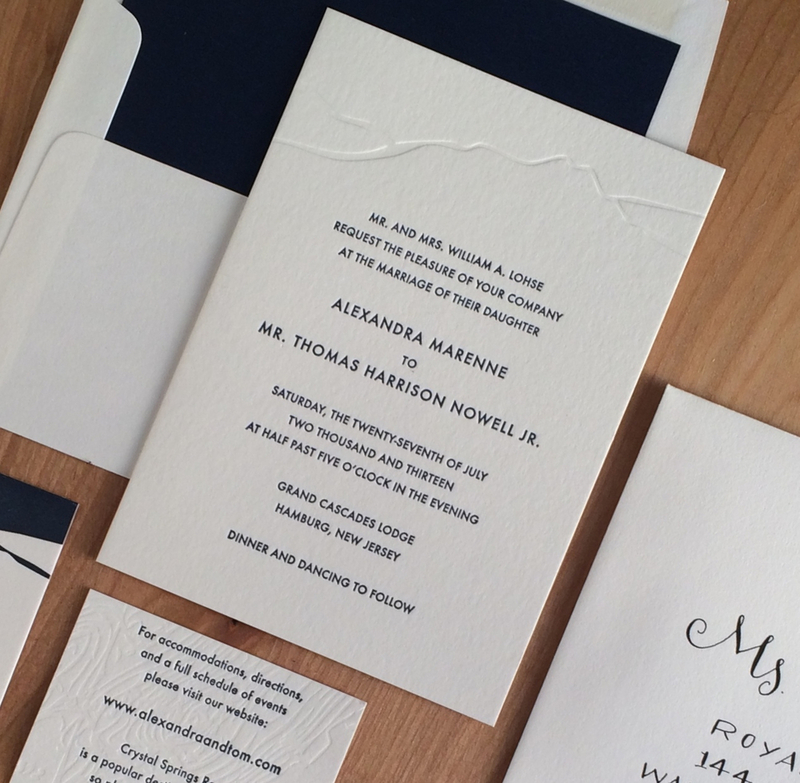 The 4 piece wedding invitation suite is printed in Navy and features blind embossing. 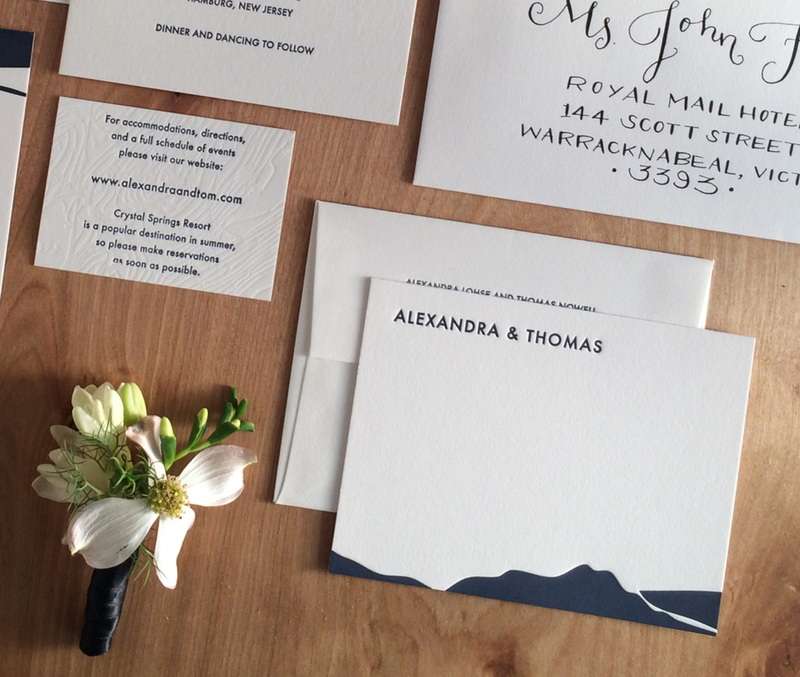 The suite and informal cards are printed on 100% cotton paper. 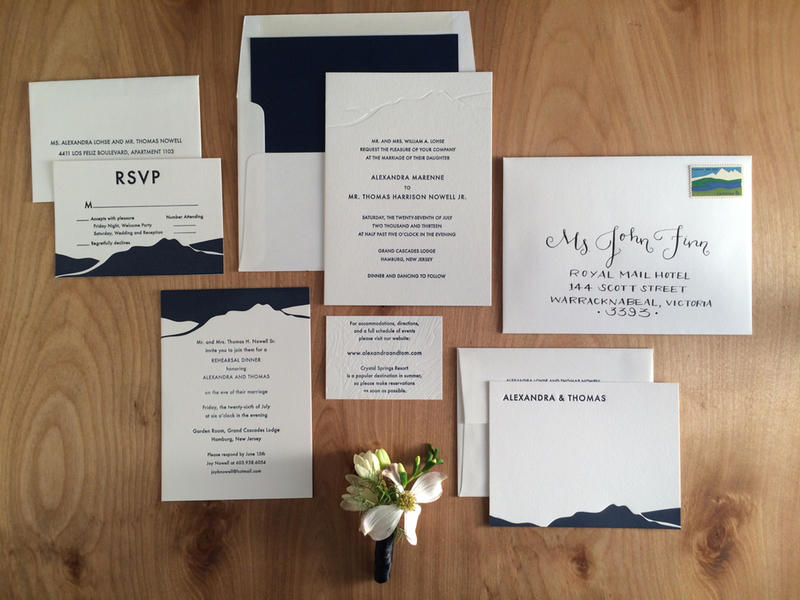 The envelope is lined in solid navy. "The box with all of the invitations, reply cards, envelopes etc. just arrived. Thank you so much for all of your tireless work and creativity -- they look just exactly as lovely as we had hoped."